Here are some poems on marriage. Allow these and the next few pages to aid you in your search. Full of surprises, not tied down, but still feeling free. Marriages come in many different sizes. Other people who make do. Are those who always seem to agree. They hardly ever need to brawl. Is they agree to disagree. Support and walk in one anthers shoe. No matter what awaits the day. And changing each other is not even a thought. Its adds to your life like a shinny star. 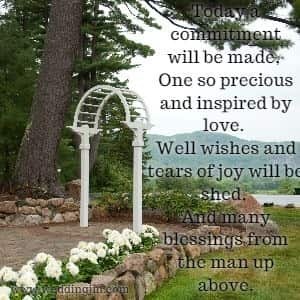 For a marriage to succeed. Or make our marriage bleed. And wisely pick our battles. That if pushed could break and rattle. If you act worse than your husband or bride. You need to talk it through. To see each others point of view. 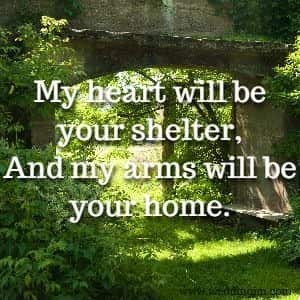 And promise to never stray away. One so precious and inspired by love. And many blessings from the man up above. Marriages are a common one. Retire and continue the fun! Depending on what you wished for. And our marriage is no different from that. And on Valentines Day we go to combat. Its worth so much to us. Nothing is too big to make a difference and there is nothing to little to be a fuss. makes another, soon or late. Of a patient pair who wait. For the flowers, the feast, the wine? Or, who knows it may be mine. After the wedding what will our marriage look like. Of course life is never easy, so working hard at it will be necessary. But with that each day your love should spike. 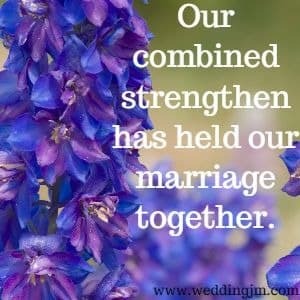 Our combined strengthen has held our marriage together.